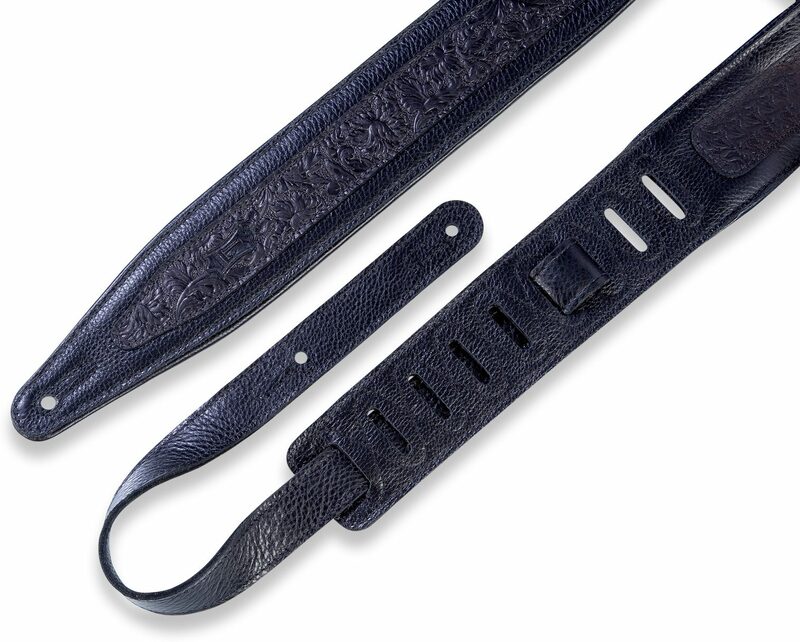 The Levy's M317FG is a 2-1/2" Garment Leather Guitar Strap with Foam Padding And Garment Leather Backing. Black Embossed Florentine Overlay and is adjustable from 46" to 60". 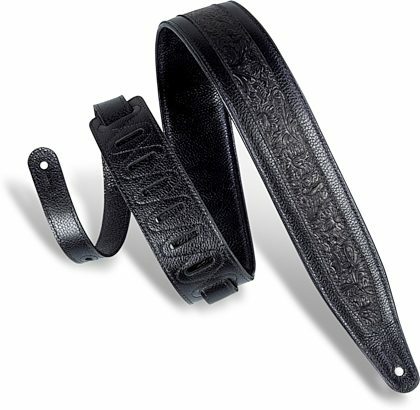 - Levy's 2 1/2" wide black garment leather guitar strap. - Two-ply strap with garment top and garment backing and foam padding. Florentine emboss overlay.